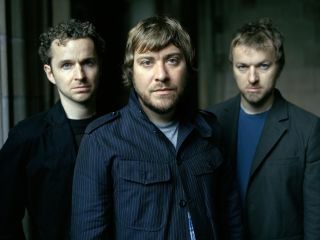 Doves are still holed-up putting the finishing touches to their as-yet-untitled fourth album in a Cheshire (UK) studio, but frontman Jimi Goodwin has hinted at what to expect - influence-wise - from next year's release. The first single Kingdom Of Rust has "a country-ish shuffle beat," Goodwin told Billboard. "It's really expansive with a wistful melody. It's quite emotional." Another track, Winter Hill, has a "vaguely country rock-esque tune" and The Outsiders features a "piledriver bass line and a Can-like backbeat." When asked if the follow-up to 2005's Some Cities would embrace a country-rock feel throughout, Goodwin replied "we haven't made Nashville Skyline, you know what I mean?" And we're inclined to believe him, another insight for the track Jetstream suggests a Kraftwerk-leaning "nod to our electronic past." Interesting. Expect an April 2009 release.